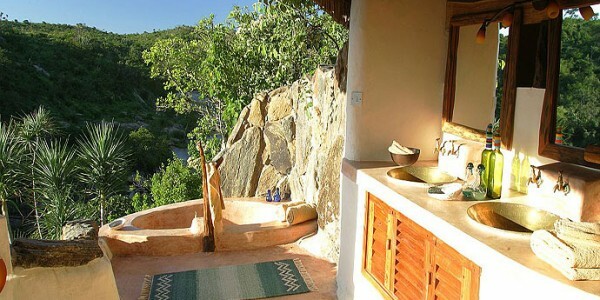 Location: Sabuk is a unique bush home perched high on a cliff overlooking the Ewaso Nyiro River in the Northern Frontier District, overlooking Samburuland and the Karisia Hills to the north, as well as the Laikipia plains and Mount Kenya to the east. Rooms: Each of the 5 spacious open-fronted stone and thatched cottages and the two Eagle Cottages has its own unique design and the furniture has been handcrafted from local materials. All the rooms are very comfortably furnished and have fabulous views even from the baths of most rooms! 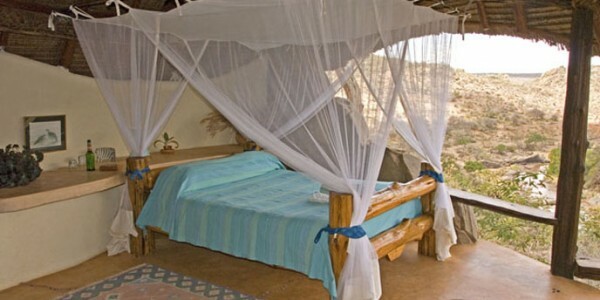 Most have daybeds where you can relax overlooking the river during siesta time, or sleep out under the stars if you wish. Facilities: The main area comprises a spacious and comfortable open front lounge overlooking the gorge, the dining area, a bar, a deck and a library providing books & games. There is also a stunning, cliff-top infinity pool with far-reaching views over the valley below. Activities: Day & night game drives are enjoyed at Sabuk and you are also encouraged to leave the vehicles behind and enjoy the excellent walking and guided camel treks. 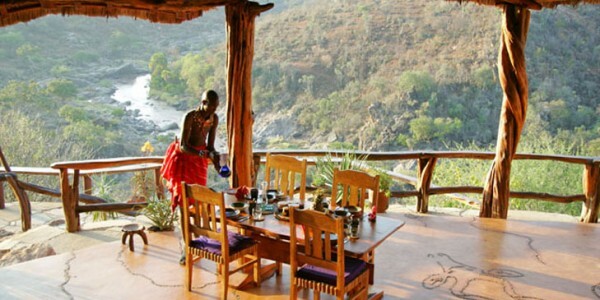 River swimming, tubing and fishing can also be enjoyed, as well as Samburu cultural visits and optional horse riding. Our Opinion: Sabuk offers the ideal location for a true wilderness adventure in a really beautiful wilderness setting. Owner and manager Verity Williams was one of the first female guides in Kenya and makes an exceptional host with some fascinating stories to share. Meals are enjoyed al fresco whenever possible, including bush breakfasts and lunches if you are on a game drive or bush walk. 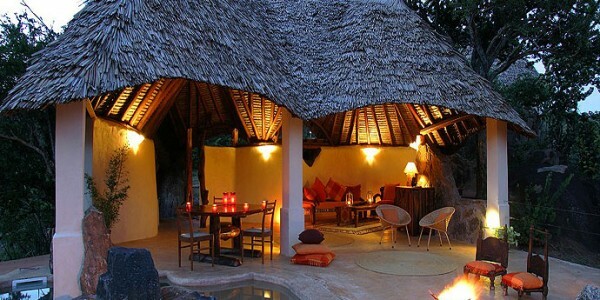 The lodge also specialises in arranging multiple camel treks with fly camping in simple dome tents to explore the more remote areas of the conservancy.